A core component to any mobile wallet business is how easy it is for a customer to fund their account to do transactions. A lot of the focus needs to be given on building the capability in the ‘cash-in & cash-out’ network to enables the unbanked to convert physical cash into electronic-money, however an important channel of electronic funds will come through the integration to existing banking infrastructure. This makes sense as the majority of the money in the economy resides in bank accounts, and more importantly can be transferred electronically. Integrating to the banking infrastructure will allow the flow of money from the banked (corporations and people) to the unbanked. When you think about how most ‘banked’ customers fund their bank accounts, it’s through their wages or salaries being deposited by their employer. Why should it be different for mobile money account holders? A mobile money service provides significant reach to disperse electronic money for payroll services or G2P payments. Managing physical cash payments to the unbanked creates a large overhead for Governments, Manufacturing and Agricultural business. Mobile Money payroll solutions that leverage their accounts and cash-out network are able to remove the physical cash payment overhead from corporate and governments, creating the ability charge a fee for payroll services. However more importantly it assists the flow of liquidity into the mobile money system. Banks have strong and deep service relationships with their corporate clients. Many large employee companies have complex needs when it comes to cash management and their bank play an important role. Among other products and services banks will support a company’s payroll, comprising of (a) disperse-to-bank-account & (b) cash-based payroll service. Integrating into a bank’s payroll service can allow a third option: (c) disperse-to-mobile-money-account. What is important here is to understand that the corporate client relationship is held by the Transactional Banking division of a bank. Larger banks are divisional organisations. Consumer Banking and Transactional Banking divisions operate as two separate business with separate service models and most likely different technology platforms to run client accounts. If a mobile money business wants to understand the payroll needs of its target customer base, it’s the Transactional Banking divisions who have deep relationships with large employee companies and are looking for solutions to help their clients. Bank-client relationships have been built over many years of trusted service delivery. Banks will not risk their relationships until it can be proven that the service is dependable and meets the needs of both the client and their employees. Yes it will take time to build the relationships & understand the stakeholder needs, however like the banked population have adopted e-banking through access to their salaries dispersed to their bank accounts, payroll services will increasingly play a large role in the success of mobile money. Paul Reynolds currently works for a leading mobile banking and payments company in Indonesia. He has worked in mobile money for 4+ years and banking for 14+ years. I agree that bulk payments (whether from private or public sectors) are a great way to get money into the system. But the proposition will never work unless there are sufficient ways to remove the money from the system for the end users. These could be cash-out agents, ATMs, remittance channels or merchants. Unless there is a sustainable agent network, all you have done is moved a company's cash handling problem from inside their walls to just outside their gates. One point of differentiation for mobile is its distributed nature. For organisations that have staff spread over a wide geographic area, mobile payroll can be a killer proposition, and this also reduces some of the concentration risk of paying mobile salaries to a population who all work or live in a single area. I recent spoke with an MD of a leading Cambodian SME firm which supplies high-end home office, sanitary and kitchen products in Cambodia. I asked this MD whether the company can consider using mobile money for their payroll services. This MD, out of a good-heart nature, commented that with or without mobile money there is still this challenge of how to improve the employees money management habits. For example, when employees received their monthly salary thru their bank (or mobile money) account, they would immediately withdraw all their money and spend all of it before the next salary payment. They would then ask the finance manager if they can receive their salary earlier or request for a loan first and then repay back once they received their salary. Another example is that employee productivity is affected as they use the payroll services as an excuse to go out longer to withdraw their money and the reason given is they had to queue up or there is traffic jam or the cash-out outlet is closed. As a result, they come back late for work. Because of this, it is decided that they will break out the salary payments and the finance department would personally hand out the cash money. 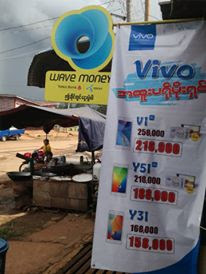 There are positive stories of Cambodian individuals who testified that mobile money services actually helped improved their money management habits and they are able to save and spend more wisely. Can this effect somehow be translated into the corporate environment? Having mobile money payroll services is a good start but there are anecdotal opinions to suggest that a sustainable social solution using mobile money payroll services is also required to help employees improve on their money management habits. Thanks for your comment Mike. You are very right in that shifting cash payroll to mobile-money payroll you are shifting the burden of cash disbursement to the Cash-Out Agents. The parallel challenge is to create compelling reasons for the customer to keep their funds in their mobile money account- I guess this gets to the core of financial inclusion; savings and access to relevant financial infrastructure. Absolutely agree on your last paragraph Paul, whilst payroll helps support the electronic liquidity issue, it can also create a cash liquidity nightmare if either the agent network is not prepared, or the mobile money product does not have sufficient attraction for the employee to keep a fair portion of their money in the account. This can still be difficult with even the best products though, lower wage employees have often pre-allocated all of their salary for paying their rent and other outgoings and need the cash immediately. Another element of this problem is making the mobile money product so pervasive that their usual recipients actually prefer to be paid via mobile money instead of cash (landlords, family, etc). That should be very simple for Telco led models who can pretty much automatically switch on mobile money customers from their subscribers, much harder for bank led models who need to sign up new customers from scratch. WING is somewhat lucky to also have ATM cards linked to mobile wallets as it relieves some of the burden, otherwise our payroll opportunity would be severely hampered to running payrolls of only 100 or so employees, else the agent network would be swamped - customer habit is still very much to cash out the entire payroll and stays like that certainly for the first 3-6 months until they grow more comfortable with the service and start to investigate other products. One other side that hasn't been mentioned is the operations/finance team resources needed to run these payrolls. As the number of payrolls increases, it is fair to say that the number of staff needed to train employees, pack materials and execute the payroll also increases. We've tackled these by taking a 'train the trainer' approach where possible, making use of call centre staff during their 'low' call volume times for packing, and finally to look to IT to develop new interfaces for employers to execute their own payroll from the comfort of their own office. Ultimately I still believe that payroll is a loss-leading product, and as you say Paul, without other attractive products there aren't many compelling reasons to tackle this segment given the challenges faced. 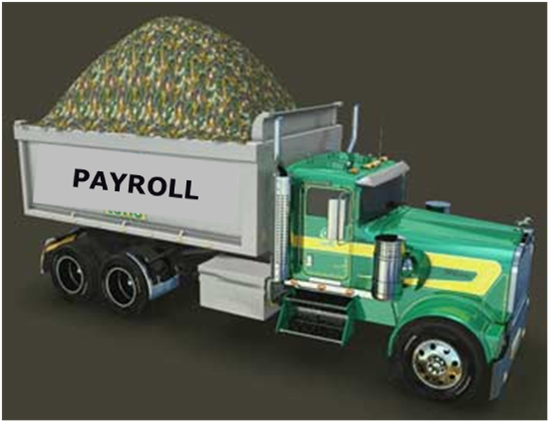 Some banks offer payroll for free - its very hard to compete with that on such low transaction margins. My final point on that would be our own experience of working with banks to tackle their 'lower value' customers, whilst the bank takes on the executive level customers in a joint proposition. Again it isn't without challenges, but the banks are happy to keep those 'lower value' customers out of their branches. Agree with Mike on the 'distributed' payrolls, those are a great fit.